I specialise in Private Client work which includes Estate Planning, Administration of Estates (taxable and non-taxable), Creation and Administration of Trusts and advising Trustees on their fiduciary duties, Care Home Fee planning, Court of Protection, Lasting Powers of Attorney for individuals and business clients and, Succession Planning for business owners. I enjoy advising individuals, families, farming clients and business owners on the challenges they face when looking to protect the future of their estates and to be able to pass on the fruits of their labour to the next generation in the most flexible and tax efficient manner. I pride myself on friendly professionalism, the ability to provide a solution which is always bespoke to my client and on the ability to have lasting relationships with my clients. Shaun is a member of the Society of Trusts and Estate Practitioners (‘STEP’). He holds the STEP Advanced Certificate on Advising Family Businesses on succession planning, which he gained a Distinction in. 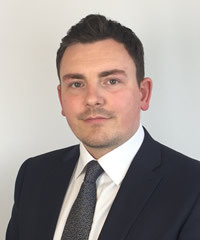 Shaun is also an Associate Member of Solicitors for the Elderly (SFE) and is the appointed Secretary for the North Wales branch of Solicitors for the Elderly. Shaun sits as Trustee of Carers Trust (Crossroads) North Wales. A local charity which provides a range of services to cares and service users in Anglesey, Gwynedd, Conwy, Denbighshire, Flintshire and Wrexham.